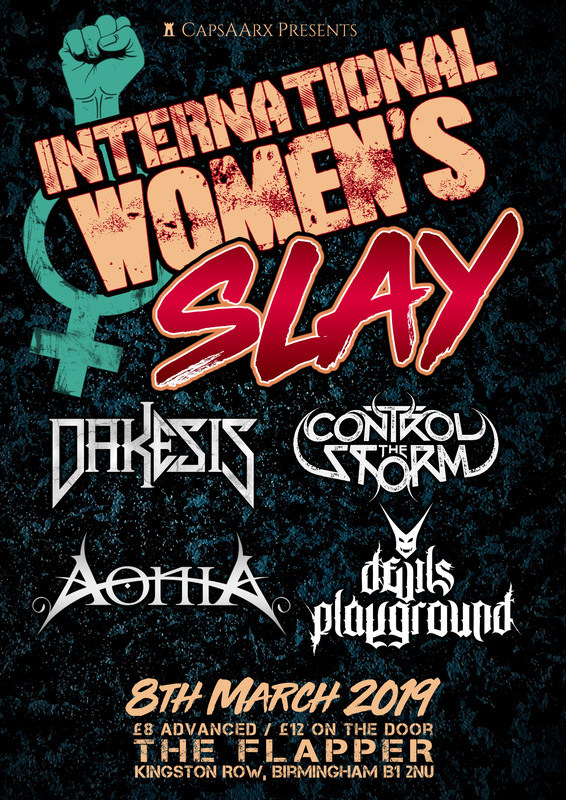 Here at CapsaArx, we have teamed up with a host of bands to bring to you the first ever “International Women’s Slay”. An event celebrating some of the best in the underground metal scene to celebrate International Women’s Day. Therefore we hope you will join us for this wonderful show held on the 8th March 2019 at The Flapper in Birmingham. Tickets are just £8 in advance and £12 on the door.